An Informal Classical Look oozes with period charm which is very much maintained by your choice curtain poles and blinds as well as the furniture. French Painted furniture and the choice of curtain fabric in the image above say it all. The curtains have been made from a Toile design fabric. This type of decorating pattern originated in France in the late 18th century and has enjoyed a good level of popularity ever since. 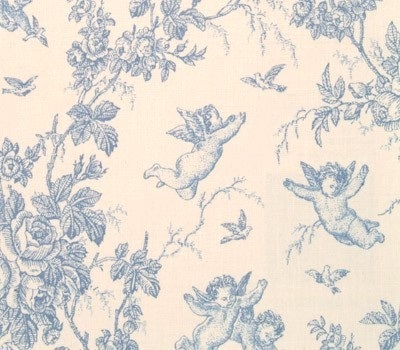 The design is usually set on a cream or white background plus a single colour for the design, usually dark red, green, blue, brown or black and consists of very complicated period country scenes or cherubs. The design is very popular not only for fabrics, wallpaper and blinds, but is often also often used for bedding and china. The deep box pelmet of the curtains above has a curtain track fitted underneath to hold the curtains. If the curtains are a light weight fabric then a simple plastic curtain track will be sufficient, but as in this instance, the curtains are quite heavy as they are interlined and the fabric has a light background so to avoid marking the leading edge of the curtains with constant handling, a good quality metal curtain track with a pull cord to draw the curtains has been used. 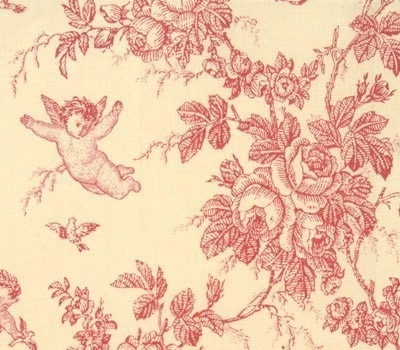 The Cherub Cornflower and Cherub Red Roman blinds show this fabric off to its best advantage as the blind, when open is a flat panel of fabric, unlike curtains that will always be viewed in a fold. 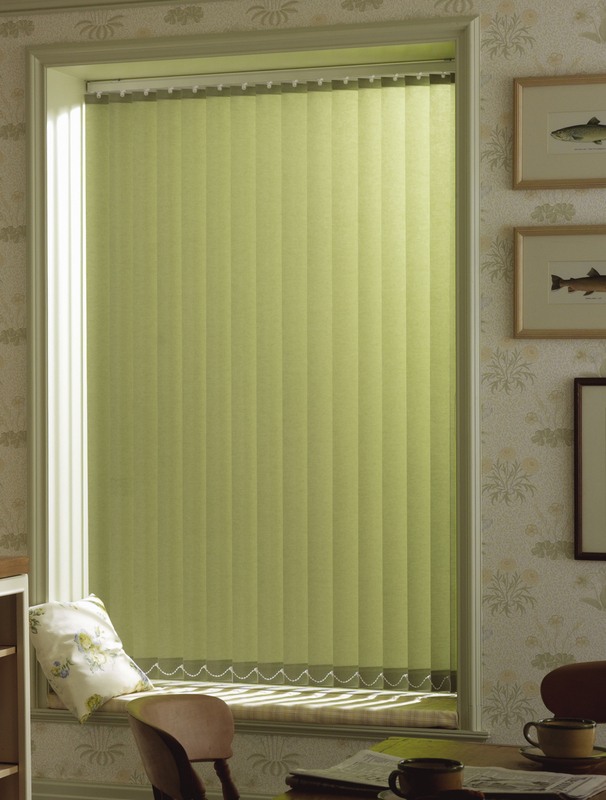 Both these blinds can be used as blackout blinds, ideal for a bedroom as a blackout lining can be used if required. A matching throw bedspread casually yet carefully placed on the bed gives the impression of easy living, but in fact a great deal of thought has gone into this informal classical look. The curtains although quite formal with a deep pelmet detail are not at all claustrophobic as the room has a high ceiling. The biggest bed possible in the Master bedroom is the ideal, not only for a close knit family where everyone can pile into on a Sunday morning, but also for a great look. Your bedroom is the place where you are your most venerable, and need to feel the safest. A good thick duvet or blankets are more comforting to snuggle under than a light duvet and a few drops of lavender oil on your pillow may well help you to sleep better and will also give a fresh country feel. Green makes a great colour choice for any type of blind – taking a cue from nature it is the colour of peace and tranquillity. Curtains based on green colourings especially if they are floral tone well particularly with wooden curtain poles, the slightly country look complimenting the natural finish of the wood. As your choice of colour will have a great affect on your mood, make sure that first of all it is a colour that you really like and not just one that is in vogue at the moment. There are many popular tones of green, a light clean green (green mixed with copious amounts of white) will look refreshing whereas an olive green (green mixed with a splash of brown and yellow) can look a little dismal and may well need lifting with a warm accent colour. If you are using green as the primary colour in a statement feature, its best to limit it to one focal wall, perhaps the window treatments and then complimentary coloured home accessories and art work. Alternatively you can use the main primary colour for the paintwork such as skirting boards, window frames and doors, and then a very much lighter tone of the main colour for the walls and then a very soft hue in the same colour group for the ceilings. This will then leave you carte blanche for your window treatments and accessories. Green can often be quite harsh so may well need counteracting with another rich colour such as burgundy or another natural element such as wood and also remember to check your choice of colours in both natural and artificial light, they will vary quite significantly – if in doubt always go a shade lighter. 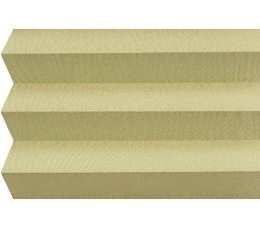 Living room or bedroom blinds look great in green and will help a restful repose. This stylish vertical blind the Acacia Kiwi will also work well in an office as green is said to keep you calm, hense the “Green Room” at the theatre – a waiting room or rooms near the stage that were historically painted green to keep nerves calm before being called on stage. 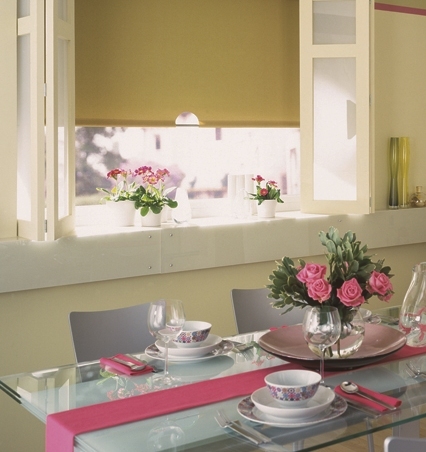 Many pleated blinds have special properties added to the fabric during manufacturing. This particular blind- the Samuri Grass blind has a sun reflective backing that reduces the amount of light and heat entering the room by over 80%. This factor will be particularly useful on a south facing window in for instance a home office which will be used during the day.